It shouldn't be costly, time-consuming, and inconvenient — so we simplified the process. 1) Sample it. 2) Seal it. 3) Send it. We email you the results in a PDF that are simple to read, easy to understand, and we make suggestions based on the type of fluid analyzed. See below for pricing. It's never been easier to find out what's in your oil. 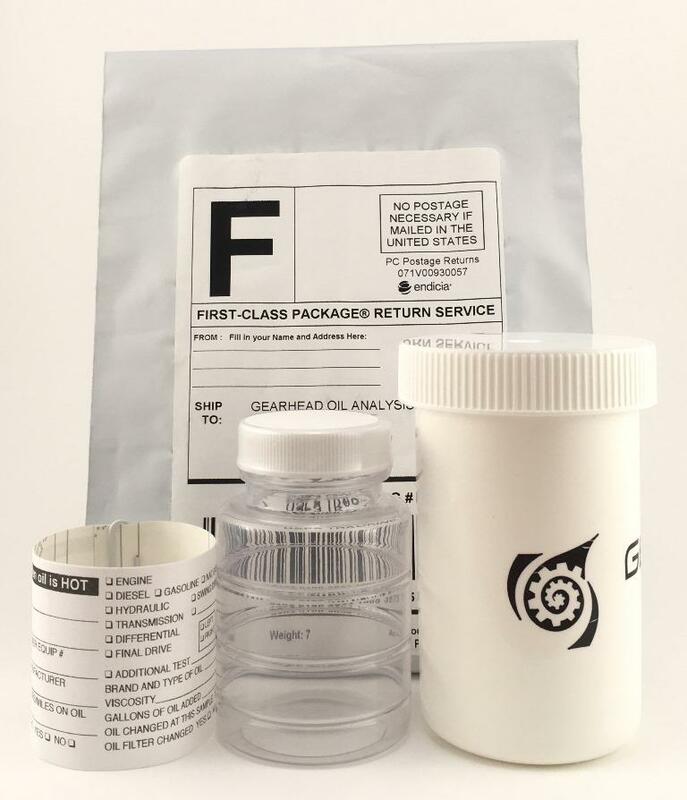 $24.95 per kit - includes sample bottle, sealed container, data sheet, and pre-paid postage bag. Case Quantities available - please call for pricing. Additional types of specialty testing available upon request.